How Long will Immigration Take to Process Your Type of Case? Click Here to find out how long applications are generally taking to process. To do so, you should know what kind of case and application has been filed on your behalf, such as VAWA (I-360), U Visa (I-918), an I-485 or I-130 then select the immigration office that is processing your application. Your receipt notice should state what immigration office is processing your application. Attorney Griselda Ponce and her knowledgeable staff are ready to assist you in breaking down the puzzle. How Is Your Application Doing with Immigration? Click Here to find the status of your specific case. If you filed for a work permit, look at your I-765′s I-797C receipt notice to find the case number and enter that number in the box without dashes. It will give you a brief description of the status of your case. A Request for Evidence means immigration needs more from you to continue with processing your case. If you are our client and you can not locate your receipt notice, please call our friendly staff so we can scan it and e-mail it to you immediately. If you are NOT our client & misplaced the notice, we can ask immigration to send us a copy of your file to get that receipt notice and check the status for you. Attorney Griselda Ponce and her knowledgeable staff are here to help! Call: 512-454-7700. Has a Family Member or Employer Filed a Petition for You & You’d like to know if You’re Next in Line? Click Here if someone filed a petition to help you immigrate into the United States. You will need your I-797C I-130 or I-140 Receipt notice and will need to find your “priority date” on that notice. If a family member filed a petition, read the Family based section to determine if you are in the F1, F2A, F2B, F3 or F4 preference. After determining your preference category, see if your category has a date on or before the “Priority Date” listed on your I-797C I-130 Receipt notice. If it is, congratulations, your priority date has been reached and you can now apply for Legal Permanent Residency! Call us to get started. As a side note, if your family petition was filed when you were under 21, you could qualify under the law, “Child Status Protection Act” which allows you to be classified as a Minor (under 21) even if you are already 21 or over! Don’t delay because some dates have time limits to apply & you could lose your opportunity! Call: 512-454-7700. Do you Need an Immigration Form or Wondering How much the Filing Fee is? Do NOT fall pray to deceiving web sites who try to sell you immigration forms. U.S. Citizenship & Immigration Services, The U.S. Department of State & the Department of Labor all provide FREE forms. Don’t confuse the “filing fee” with the cost of the form. You can download the form for free but completing it and filing it with immigration often DOES have a fee but the actual form is free from government web-sites. Still confused? Let us do the heavy lifting! We understand you have your job, kids and other problems taking up your time. Call Attorney Griselda Ponce and her staff to take the worry off your hands … trust me, once you do, you will sleep easy again! Call: 512-454-7700. Has a Family Member Been Detained or Has to Attend Immigration Court Hearings? If your loved one was apprehended and in the process of being removed or deported from the U.S., this web-site has an easy to understand guide about the process. I offer this link as an overview. Because removal proceedings are complicated, we highly encourage you to hire an experienced immigration attorney. Statistics show that 80% of immigrants who don’t have an attorney lose their case. Read this and call us to schedule a consultation so we can explain the process carefully to you. Attorney Griselda Ponce has obtained the release of thousands from immigration detention centers nation-wide & for detainees, every minute behind bars counts. Don’t let your loved one languish behind bars. We can walk you through the process and get to work immediately on the case. Call: 512-454-7700. Are you Afraid to Return to Your Country Because Someone wants to Harm You? Asylum is a process that allows you to remain in the U.S. if you can prove that someone in your country wants to harm you, will harm you and/or kill you. Asylum law is complex and not all immigration attorneys take asylum cases. This link is a resource that details merits of asylum cases and a good resource to learn about the law. We have reasonable fees for immigration cases and have won many in the 10 years we’ve been in practice. Prevailing in an asylum case means you could later bring your spouse and children safely to the U.S. without the need of a smuggler and, of course, anyone who gains legal permanent residency can later become a U.S. citizen and also petition for his parents to safely join him in the U.S. Immigrants arriving in the United States often have only ONE (1) year to file for asylum or their case becomes more complicated. Reserve your right to obtain safety and build your life in the U.S. Call Attorney Griselda Ponce to learn the first steps on the road to safety and peace of mind. All of Griselda’s clients have direct access to her mobile phone and call her day or night, weekday or weekend. Attorney Griselda Ponce is here to help: 512-454-7700. Citizenship to the United States is acquired most commonly from birth, by registration, transmission or application. Individuals born in the United States are automatically U.S. citizens, unless parents are diplomats. 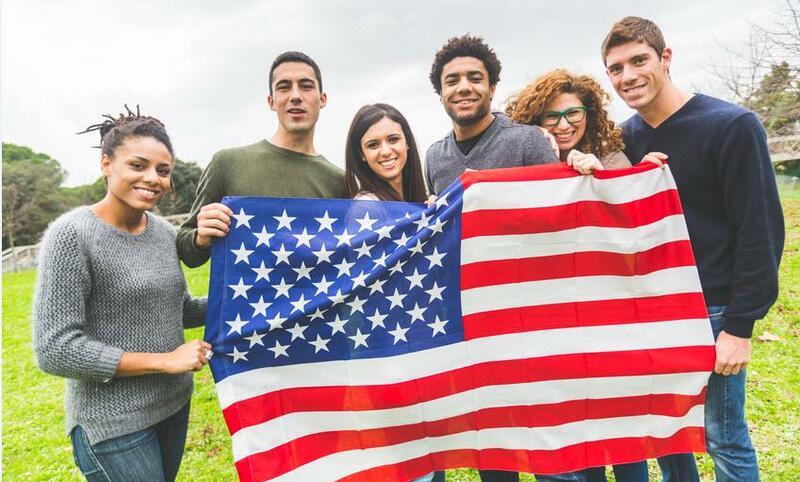 Individuals that were born outside of the U.S. to citizens of the United States are eligible for citizenship, providing that the birth is registered with the relevant United States embassy. Individuals born outside of the U.S. with one parent who is a United States citizen will also be eligible for citizenship through transmission. Citizenship to individuals that were born outside of the United States and with no parental ties to the country may be granted through application. Individuals with permanent residency in the United States may apply for citizenship five years after permanent residency is obtained; this waiting time may be reduced to three years if permanent residency was obtained through marriage to a citizen of the United States. To find out more about how to obtain citizenship contact Attorney Griselda Ponce. What is the Diversity (DV) Lottery Program? The Diversity (DV) Program awards immigrant visas to individuals of countries with low U.S. immigration rates (less than 50,000 in previous five years). Visas granted randomly to qualified applicants. When can a person be deported from the United States? Deportation or removal from the United States will occur when an alien has been found to be in violation of immigration or criminal laws. What are the consequences of deportation? Any alien found to be in violation of United States immigration or criminal laws will immediately forfeit his or her right to remain in the country. Deportation will usually result in a ban on an alien returning to the U.S.
A Notice to Appear (NTA) is issued to the alien by the Bureau of Immigration and Customs Enforcement. The NTA will give reasons as to why the alien should be deported and a hearing is scheduled with the immigration court. An immigration judge will then determine whether the information stated within the NTA is correct and will deliver a verdict for the removal order of the alien. Yes, it is possible to appeal a deportation order. An alien is given 30 days to appeal a decision to the Board of Immigration (BIA). If the BIA does not rule in favor of the alien, it is possible to take the appeal to the U.S. Court of Appeals. If the U.S. Court of Appeals also rules against the alien, an appeal can be lodged with the United States Supreme Court. Special Registration is a registration process that applies to certain individuals that are in the United States as non-immigrants and are from designated countries listed by the U.S. Citizenship and Immigration Services (USCIS). The database of countries gives the USCIS the right to interrogate individuals in the interest of U.S. national security. For more information about Special Registration and the list of countries affected, call 512-454-7700. Why do permanent resident green cards expire? To keep files accurate and up-to-date, the U.S. Citizenship and Immigration Services (USCIS) have changed green card validity from indefinitely to every ten years. Green cards must be renewed every ten years; however, permanent residency is not affected as long as the individual does not violate any immigration and criminal laws of the United States. 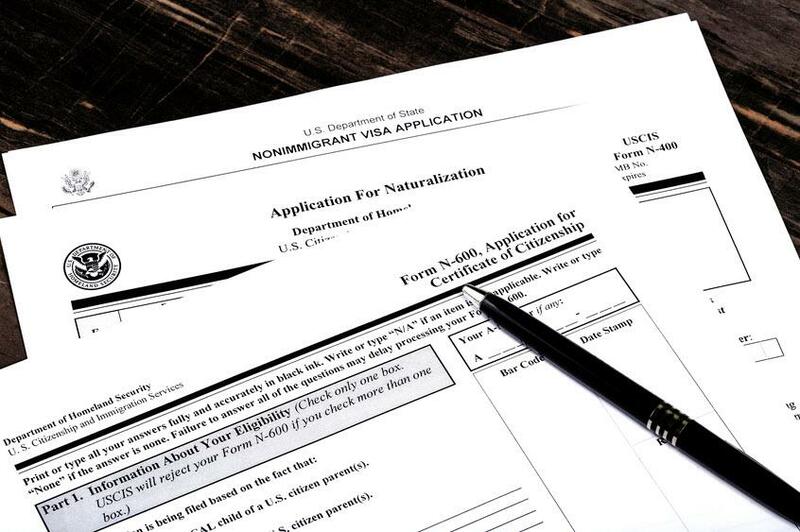 What is the difference between immigrant and non-immigrant visas? Immigrant visas are known as green cards and award permanent resident status to an individual. Non-immigrant visas are temporary visas that are granted to individuals and are only valid for a specific period of time. What are the different types of temporary employment visas? H-1B – applies to specialty workers entering the U.S. to perform services in a specialty occupation. H-2B – applies to temporary skilled or unskilled workers that wish to enter the U.S. to work in non-agricultural employment that is seasonal, intermittent, or a single occurrence. L1A – applies to non-immigrants in managerial and executive roles within a company that has a parent, branch, or affiliate in the U.S.
L1B – same as above, but for foreigners with specialized knowledge. E-3 – applies specifically to Commonwealth of Australia nationals engaging in specialty occupations. For more information and help on temporary work visas, get in touch with Ponce Law Firm today. Does a temporary employment visa allow my family to travel with me? Yes. If you have received an offer of work in the United States and have been granted a temporary employment visa, this will allow your spouse and children to travel with you. Does an H-1B visa allow me to work more than one job? No. H-1B visas are awarded specifically to one job with one employer. A separate visa must be obtained for each individual job. Therefore, additional employment will require a new visa application. It is possible to be in possession of more than one H visas at a time. What is the 212(E) two-year home country requirement? 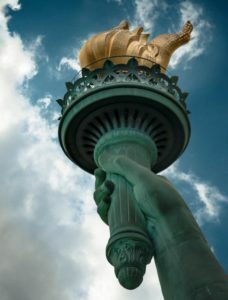 If you have entered the United States under “J” status (non-immigrant visas given to individuals approved to participate in study-based exchange visitor programs), you may be obligated to return home for a two-year period before becoming eligible to obtain permanent residency or other non-immigrant visas. Individuals bound by the 212(E) two-year home country requirement are generally those in receipt of government funding, physicians undergoing clinical training and those in services based on their country’s skills list. If you are worried about whether the two-year home country requirement affects you, call Attorney Griselda Ponce on 512-454-7700. Will my criminal record affect my application for permanent resident status? A criminal conviction can affect an application for permanent residency; however, this is dependent on the conviction. Some convictions will not interfere with the application. To find out more on this matter contact Attorney Griselda Ponce. On 2 January 2013, USCIS announced a new process for immediate relatives of United States citizens present in the U.S., whereby it is possible for individuals seeking immigrant visas for permanent residency to apply and be approved for provisional unlawful presence waivers before departing to the U.S. for immigrant interviews. The provisional unlawful presence waiver is also available for individuals in the U.S. departing for immigrant visa interviews abroad. For more information on eligibility for this waiver, contact Ponce Law Firm, P.C.